Users of Netflix’s (s nflx) digital movie-rental service have been up in arms about a sudden change to the company’s pricing plans, which appears to be aimed at reducing demand for its DVD-by-mail service by jacking up prices. In other words, Netflix is trying to manage the transition of users away from the physical product and toward digital streaming. 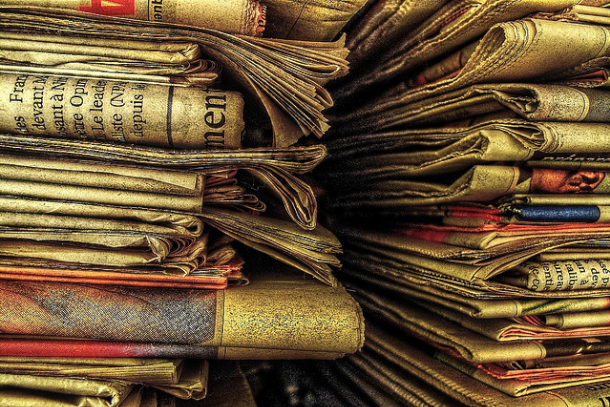 Are there any lessons newspapers and other media companies can learn as they try to move away from the physical print product and toward a digital-only future? Yes and no — publishers shouldn’t get their hopes up too much about copying the Netflix model, because the two businesses are very different. Media analyst Ken Doctor, author of a book on the news industry called Newsonomics (and a blog by the same name), took a look at the comparisons between the two in a post for the Nieman Journalism Lab. He notes that the obvious impetus for Netflix to change its pricing plans — which effectively penalize people who want both the physical DVD-rental part of the service and the streaming digital part — is to simultaneously generate more revenue that can be applied to the physical parts of its business, and at the same time reduce demand for that product. In the new strategy, we can see how Netflix can both push the digital transition faster and manage the DVD decline better. We can assume that the digital customer is worth more in profit to Netflix than the DVD customer. Then, Netflix wants to take out as much of that cost infrastructure (Post Office, warehouses, associated customer service) as possible, as fast as possible. Differential pricing is one way to do that. 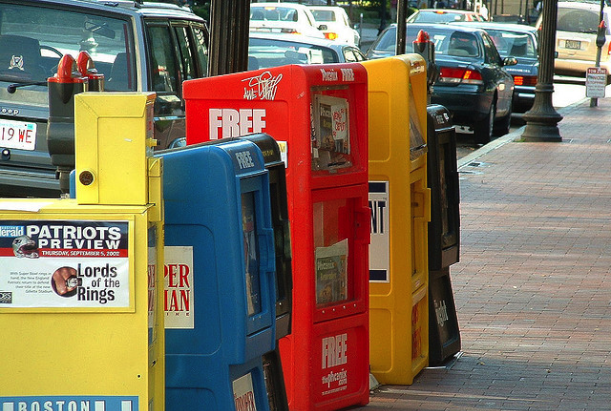 So why don’t newspapers just hike their prices the way Netflix is? Well, the short answer, as Doctor notes, is that they are; many newspapers have boosted their cover and subscription prices by substantial amounts over the past few years. I was in a meeting at one major metropolitan newspaper in which the editor-in-chief bragged about how much the paper had been able to jack up its prices for print subscribers without much backlash. The plan was to just continue to do this until people started cancelling their subscriptions en masse. In many ways, newspapers are a lot like Microsoft (s msft). The software giant is wedded to a shrink-wrapped product that involves huge amounts of revenue for the per-seat licenses it sells for Microsoft Office, and that makes it hard for the company to make a transition to a “cloud-based” model that sees the same services delivered online. Newspapers also get vast amounts of their revenue (as much as 80 percent in some cases) from their print product. How do they give that up as they move to digital only? But the biggest issue for newspapers and other publishers is something Doctor mentions towards the end of his analysis: namely, that media companies rely on advertising for their bread-and-butter revenue, not subscriptions (which pay for, at best, a small fraction of the cost of a newspaper). The problem with that model is that online advertising produces a tiny fraction of the amount of revenue per reader that print does — up to 10 times less, in some cases. While some newspapers such as John Paton’s Journal-Register have committed to trying to make this transition from “print dimes to digital pennies” work, there’s no proven method for doing so. So while Doctor says the future of print is “price increase after price increase,” as publishers try to force readers to make the transition to digital-only, the biggest stumbling block isn’t the behavior of users the way it is with Netflix; it’s the behavior of advertisers. Until they decide to start paying dramatically more for online ads than they have in the past — something that isn’t likely to happen — traditional publishers can only look at Netflix’s model with envy. The real analyses will begin – and be more instructive – once the actual numbers of account changes/cancellations/churn at Netflix are known at the end of the month. Users will have to decide whether or not they go with higher prices or less service or streaming/DVD only. Or go elsewhere. In spite of hundreds of comments on blogs, behavior will demonstrate how up-in-arms NF users really are. Fascinating comparison. The difference though, as I see it, between the Netflix scenario and publishing, is that The Netflix DVD product and the Netlix streamed product are not at all identical. Newspapers and other forms of publishers are in a position of ultimately being able to add additional value in a digital product on form of links, multimedia, additional graphics and context. Netflix, on the other hand, offers less in their digital offering – less new releases, less big hits- in other words, less value for most consumers. Where is the incentive to transition? I hear this mentioned all the time, but there’s never any explanation. Why do ads on web sites produce so much less revenue? Given the volume and enviable demographic of online viewers, you would think that Web ads would be generate more revenue, not less. Are Web ads really less effective than print? Or is it that just that they can be measured far more accurately? Maybe the impact of those print ads in the newspaper is drastically overstated? Co- sign, Doug: i am a netflix subscriber and i would love to transition to all digital, but the content just isn’t there… the best tv, the best recent films, are all only available via dvd. if netflix gets their act together in this regard, i’ll fall in line right quick. The transitioning of print subscribers to digital media is not in the Publishers’ interest, because, unlike Netflix, the Publishers’ profits in physical media exceed those in digital. So the comparison here is moot.